My daughters kindergarten class is in full blown sight word learning mode! Each week the students learn a new sight word and my daughter comes home with worksheets that I keep so that we can practice at home. I decided to use these words and make up a game to make learning/memorizing these new words more fun. 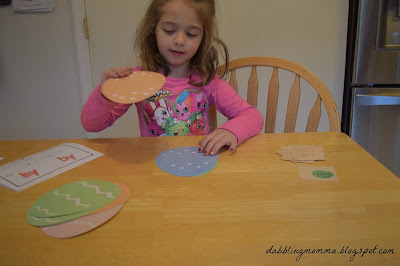 Before Easter I picked up these paper Easter eggs from the dollar section at Target. 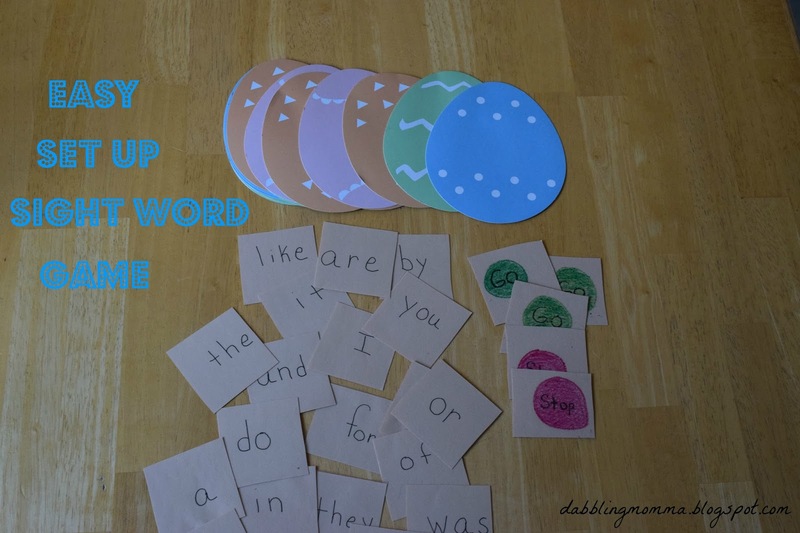 I then wrote the sight words on a piece of paper, laminated them and cut them out. I also added a GO card and a STOP card just to make the game a bit more interesting. The laminating part is optional. The rules of the game are simple. 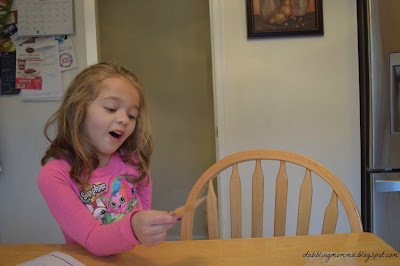 All the sight words are put into a pile and each player draws one of the cards. If the player can read the sight word they take an egg. If a STOP card gets drawn, the player loses a turn and can't go again until they draw a GO card. If the GO card is drawn first, the player holds onto the card and can use it if they draw a STOP card. The player with the most eggs at the end of the game, wins. I used the eggs because it was around the Easter season but anything can be used. Other ideas could be matchbox cars, pom-pom's, candies, anything that will catch the attention of your child. 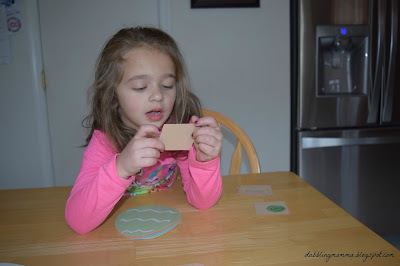 Their are so many fun ways to learn/memorize sight words. 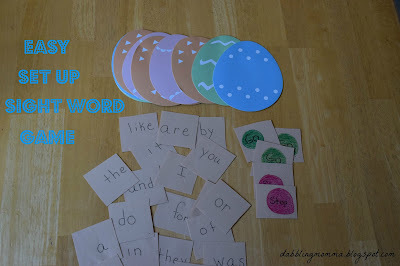 For more ideas, check out my Sight Words Pinterest board. I like that it's super easy to do! Take care, Natasha! We really did have a good time playing it!